Our 28cm Silver Black Angel flies in the face of tradition with her arresting outfit. 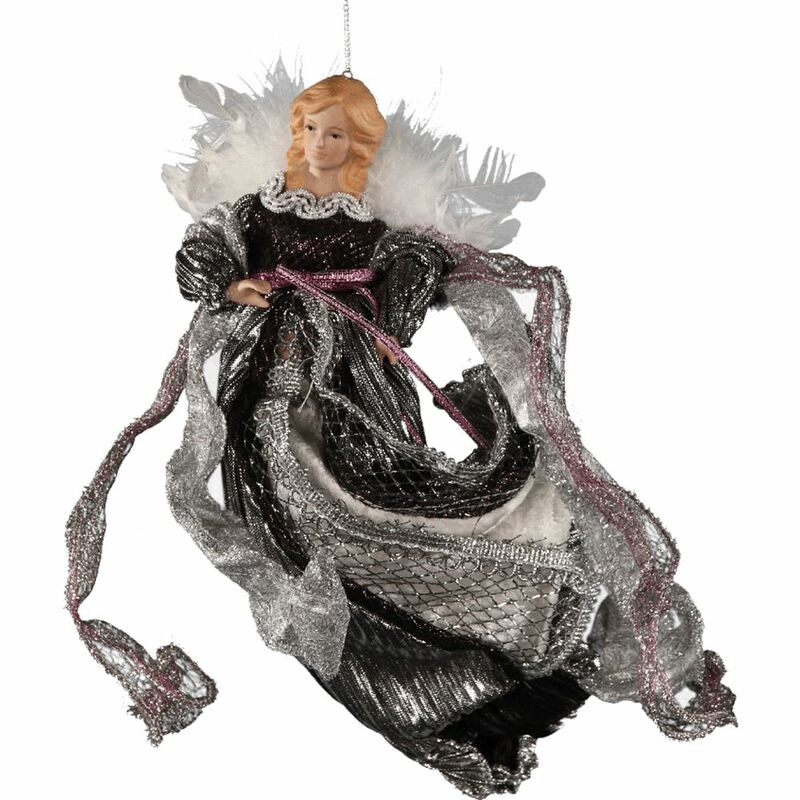 Incredibly detailed, this angel has a flowing black gown with silver stoles and wraps, a silver and pearl neckline, and glittering pink belt. Her wings are made of feathers, and her dress is designed to look as though she is flying through the air. The Silver Black Flying Angel has a loop to attach a hook or thread. Hang her in a doorway or over the Christmas tree. 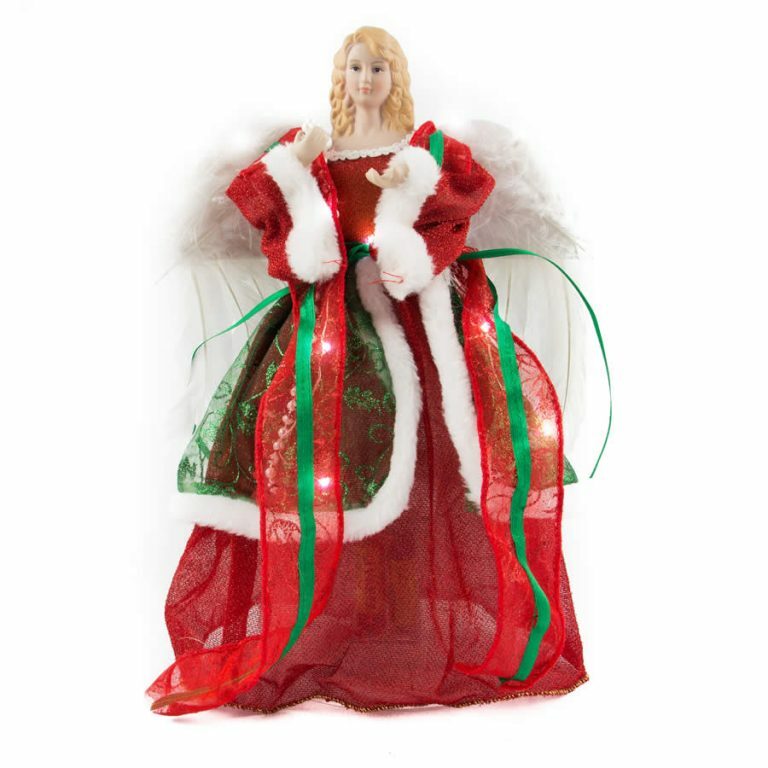 Hang her on your porch near some fairy lights to give the impression she is on her way to a Christmas destination.